Thanks again to Deb Perelman – this is in her Smitten Kitchen Cookbook, with perfect instructions for butter crust and an amazing pie that can be made ahead to feed a crowd. I made the crust one day, the pie itself a couple of days later, which was still a day ahead of my meal and it was brilliant. 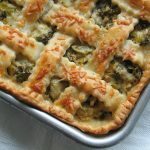 But, now that I have all of pictures of a perfectly formed slice, next time I think I’ll bake it ‘same-day’ – the fresh warmness might be worth it a messy pie – enjoy! Lightly oil a 9 or 10-inch spring form pan, then roll out your Classic Pie Dough (butter) crust until you have a single, 16-inch round. Fold the dough gently in half, then in half again and lift it into your pan, making sure the dough relaxes into all of the bottom edges and then drapes over the edge by a good inch (trim if necessary). Press it gently into the pan, patch any tears or holes and then set it in the fridge until you`re ready for it. Streusel – Stir together the 5 dry ingredients, then pour in the butter and stir until it`s clumpy – set it aside. Filling – Preheat the oven to 375 then peel, core and chop all of the apples into 8 wedges. Thinly slice each wedge into quarter inch pieces – thin is best, the only way all of these apples will fit is if they’re thinly sliced. Sprinkle them into your largest bowl with the lemon juice, then sprinkle on the sugar, flour and salt and toss gently to coat. Add the apples to the prepared crust, about a third at a time, and use a spatula to smooth out the apples and tuck them into the edges. Place the pie on a baking sheet lined with parchment, and bake for 30 minutes at 375. Remove the pie, evenly sprinkle on all of the streusel, pressing it in a touch to make it all fit, then reduce the heat to 325 and bake for another hour. If the streusel is getting too brown, lightly cover the pie with foil. Allow the pie to cool to room temperature in the spring form (Deb says you can put it in the fridge to speed it up if you need to), then gently loosen the crust where it’s stuck around the edges, and remove the ring. 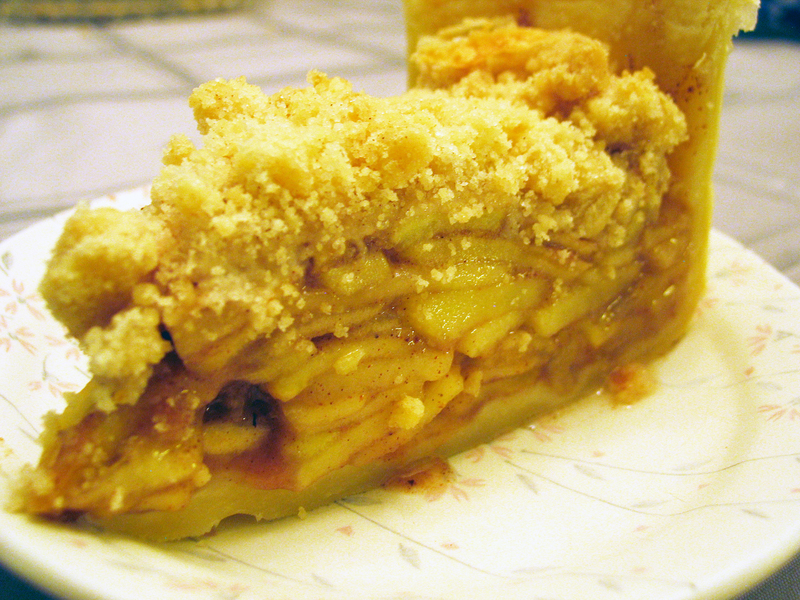 Slide the pie onto a serving plate to serve immediately, or wrap it well and refrigerate it over night. As mentioned, I made mine the day before serving, but I was too chicken to remove the ring and trust it in the fridge over night – I think it would be totally fine (trust Deb!). Slice and serve as you wish! Have a big piece for breakfast! Wow!!! Looks like pure magic.